Registration will not be processed without a credit card payment. The registration fee for summer programming is $10 and the fee for school year programming is $20. Please contact the administrative office about other registration options if a credit card payment is not an option for you. Parents/Guardians are responsible to notify KIDSTOP if any changes take place. Please add Club@bgcmn.org to your safe sender list, as email receipts tend to land in spam filters. Thank you! The following information is required for membership at the Boys & Girls Club. This information will not be used individually but grouped for fundraising and grant writing. All information is held strictly confidential. Does your child receive free or reduced lunch? * Names listed are assumed to be authorized to pick up the child. A document is needed if there are any custody orders involving restrictions or limitations of when any parent or guardian is allowed to drop off or pick up. Select at least one option from the list below. Your child's start date must be a minimum of two business days from receipt of registration. Afternoon snack will be served. Your child's start date will be a minimum of two business days from receipt of registration. The questions below are designed to help us understand and work effectively with your child. You are not required to answer these questions; however, the lack of this information may affect our ability to work with your child. Note: If you answered yes to either of the above two questions, an intake questionnaire will be provided for you, to detail your child's specific needs to insure success for your child. Yes, I give my permission for the Boys & Girls Clubs /KIDSTOP® organization to use photographs/video recordings of my child for promotional purposes (including print, web and social media) and to waive any claims I may have against the Boys & Girls Clubs /KIDSTOP® for all thereof. No, I do not give permission for the Boys & Girls Clubs /KIDSTOP® organization to use photographs/video recordings of my child. Boys & Girls Clubs of Central Minnesota and/or Boys & Girls Clubs of America may photograph or video record your child for marketing and promotional purposes, including but not limited to use as stock photos on our website and social media pages. Your permission grants us the authority to publicize any photos/video recordings we may take of your child. I give permission to Boys & Girls Clubs of Central Minnesota and Boys & Girls Clubs of America to photograph and/or video record my child for use in marketing and promotional materials. By signing this Photo/Video Recording Release Form (the “Release”), I understand and agree to the following: I grant permission to Boys & Girls Clubs of Central Minnesota and Boys & Girls Clubs of America to photograph and/or video record my child for marketing and promotional purposes and to publicize any photo/video recording of my child without additional notification. This grant remains in effect until revoked. The rights granted to Boys & Girls Clubs of Central Minnesota and Boys & Girls Clubs of America in this Release include the perpetual, exclusive, and unencumbered right to use, edit, reproduce, distribute, publish, and otherwise exhibit the photos/video recordings worldwide, in any and all forms of media. In addition, the rights granted to Boys & Girls Clubs of Central Minnesota and Boys & Girls Clubs of America in this Release include the right to use the photo/ video recording to publicize and advertise Boys & Girls Clubs of Central Minnesota Boys & Girls Clubs of America and/or their services. No monetary compensation will be given for use of any photo/video recording of my child. I agree to hold harmless and do hereby release Boys & Girls Clubs of America, Boys & Girls Clubs of Central Minnesota and its past, current, or future owners, employees, agents, representatives, affiliates, successors, and assigns from any and all claims, demands and causes of action associated with this Release and, including without limitation, any claims for libel or violation of any right of publicity or privacy, which I may have by reason of this Release. Where did you learn about Club? Don't see the "Next" button? A program must be selected for each member above. As a youth development agency, the Boys & Girls Clubs of Central Minnesota focuses on reward and reinforcement of positive behavior. Staff will teach expectations, rules and consequences for behavior and post these in their program areas. Staff will use verbal redirection with youth when needed. Staff will use proactive language when dealing with youth exhibiting unacceptable behavior. In the “take a break” space, youth will have intentional time to reflect on what they did and how they may do things differently next time. In the “take a break” space, youth will have other calming tools that they can use to help regulate their emotions before returning back to the group. Meeting with a Unit Director or Program Manager and documentation of the incident. If the behavior continues or requires more serious intervention, your child will meet with the Unit Director or Program Manager. Members will be given the opportunity to discuss other possible choices and what they would likely choose to do in the future. The Club or KIDSTOP staff will work with the member to create a plan to return to the Club or KIDSTOP activity. The Club or KIDSTOP staff will document the intervention and have information available to share with parents/guardians. If the issue cannot be resolved in a meeting, or if it continues to occur, a call home may be made to discuss the conflict with you. At the discretion of the Unit Director or Program Manager, a decision may be made to suspend your child from Club or KIDSTOP programming for one to five days, or limit the amount of time your child can be at the Club or KIDSTOP. If continued intervention does not resolve the issue, or the behavior is so severe that it puts other members in danger, the Unit Director or Program Manager may decide to suspend your child’s membership long-term or revoke their membership until the behavior can be resolved to a degree that it no longer endangers other members or staff. Violent behavior that endangers other members, staff or volunteers. Unsafe behavior such as running from program. Continuous vulgar or abusive language that emotionally harms other members, staff or volunteers. Not complying with Club/KIDSTOP rules that exist to keep your child and other members safe. Bringing a weapon or an item that could be construed as a weapon, or threatening to bring a weapon to the Club or KIDSTOP, or onto Club or school property. Continuous bullying or cyber-bullying that emotionally or physically hurts other members. Sexual harassment of other members, staff or volunteers. Theft or damage of another member’s property or Club/KIDSTOP property. Bringing illegal substances or alcohol into the Club or KIDSTOP. Attending the Club while under the influence of an illegal drug or alcohol. After each suspension, your child and you must meet with the Club’s Unit Director or KIDSTOP Program Manager to discuss a re-entry plan to allow the member to attend Club or KIDSTOP programming / activities. Developing a behavior plan with your Club’s Unit Director or KIDSTOP Program Director allows you and your child to be an active participant in the success of your child’s Club or KIDSTOP experience. If your child continues to exhibit the behaviors listed above, despite guidance and coaching from staff, termination of their membership may be sought in order to keep the Club or KIDSTOP a safe and affirming place for all of its members. If your Club’s Unit Director or KIDSTOP Program Manager feels that termination of membership is the best option for your child, they will schedule a meeting with you and your child to discuss the concern. **I have read and understand the POSITIVE CLIMATE PHILOSOPHY & PROCEDURES. I agree to abide by the terms and conditions of the Boys & Girls Club Parent Handbook (a copy of which I have received) governing the enrollment of the child named on this Membership Application/Emergency form. I understand that payment of club program fees is made on the first day of the week that child(ren) attend(s). I agree to abide by the terms and conditions of the Boys & Girls Clubs/KIDSTOP fee policies. I agree to permit the child named above to participate in walking trips, field trips or other activities sponsored by The Boys & Girls Club. This permission is given with the understanding that transportation, if needed, will be provided by private vehicles driven by Boys & Girls Club staff members or volunteers, school buses and/or public transportation. I also understand that the children will be under Boys & Girls Club supervision throughout the duration of any field trip. Knowing there is a certain amount of risk involved in even the simplest of childrens games, sports and activities, I give my permission for my child to participate in Club activities and programs. I accept responsibility in the unlikely event that an accident might take place. I hereby certify that I carry health and/or accident insurance for my child and that I am solely responsible for the cost of health care for my child, even as a result of my childs participation in Club programs or activities. I further certify that my child is covered by medical insurance as listed on the above Membership/Emergency form. I understand that insurance coverage is required in order for my child to participate in Club programs and that I am solely responsible to provide such coverage. I understand that I am solely responsible for any consequences of my failure to provide adequate insurance coverage. I agree to abide by all of the rules of the Boys & Girls Clubs of Central Minnesota pertaining to the health and safety of the members and to inform the Club immediately of any changes in my childs health, health care insurance or medical provider. I also agree to inform the Boys & Girls Clubs of Central Minnesota immediately if my child contracts a serious communicable disease. I agree that the Boys & Girls Clubs of Central Minnesota, its employees (both paid and volunteer), Board of Directors and affiliated agencies, shall not be liable for any claims, demands, actions or causes of action, whatsoever for any injury caused to me or to my child as a result of my childs involvement in Boys & Girls Club programs or activities. I hereby expressly forever relieve and discharge said Boys & Girls Clubs of Central Minnesota from all acts of negligence on the part of the Boys & Girls Clubs of Central Minnesota, its employees (both paid and volunteer), the corporation, its servants, agents, officers, shareholders and affiliated agencies. I give my consent to any exchange of information between my childs Boys & Girls Club/KIDSTOP staff and school professional staff whenever it would be beneficial to my child. In case of serious accident of illness to my child or in the event that the injury/illness involves my childs mouth or teeth, I hereby authorize the staff of the Boys & Girls Clubs of Central Minnesota, my childs physician, dentist and those individuals named on the above Membership/Emergency form to give any necessary treatment to my child. You may call the doctor and/or ambulance if necessary at my exclusive expense. I agree that I am solely responsible for updating medical information to the Boys & Girls Clubs of Central Minnesota. I give my consent to any PG-rated video shown at BGC/KIDSTOP. I will contact my site if I have questions or concerns. 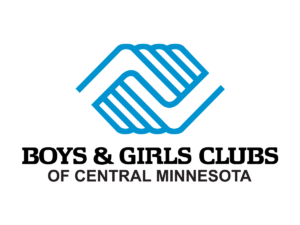 The Boys & Girls Clubs of Central Minnesota is taking part in an annual survey that will be used to track the well being of members in Boys & Girls Clubs nationally. Our Club is one of a group of Clubs across the country participating in the survey that asks how members feel about the activities and time they spend in Boys & Girls Club programs, education plans, and involvement in community service and work. Additionally, the survey asks about the attitudes and health behaviors of members, including questions about nutrition and physical activity. Members will not put their names on the survey. No site or member will ever be mentioned by name in a report of the results. We would like all members at our sites to take part in the survey, but the survey is voluntary. Survey participants can skip any questions they do not wish to answer. If you would like to see the survey, a copy is available upon request. Please contact the program manger or unit director. You may review the survey during regular hours. If you do NOT want your child to take part in the survey, we have a form for you to sign. The form is available from you program manger or unit director. If you have any questions about the survey, please contact the Boys & Girls Clubs of Central Minnesota at (320) 252-7616. Please agree to the above by entering your name and relationship to the new member(s). Your child may not attend the Boys & Girls Club until the registration fee has been received. If you need information about our scholarship programs or county child care assistance, please call us immediately at 252-7616. The registration fee for summer programming is $10 and the fee for school year programming is $20.